THIS INFORMATION IS OBSOLETE AS SPRRHS NO LONGER EXISTS. It as been left intact so you can see who we were. Please refer to top of home page for details of closure of SPRRHS. 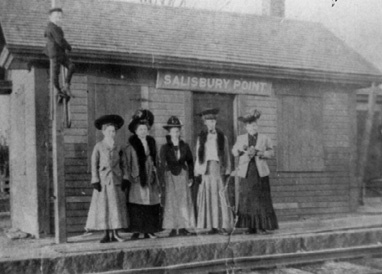 The Salisbury Point Railroad Historical Society, Inc. is a non-profit organization and has been established for the purpose of preserving and making available information pertaining to the history of the Amesbury branch of the Boston & Maine Railroad, the Boston and Maine Railroad itself, its predecessors and related materials pertaining to the history of railroads in New England. We own, operate, and maintain the actual Salisbury Point Station that was originally built by the Eastern Railroad in the 1870's. It measures a mere 11 feet wide by 20 feet long and has been totally restored. It is located in the grounds of the Bartlett Museum at 270 Main St., Amesbury, Mass. 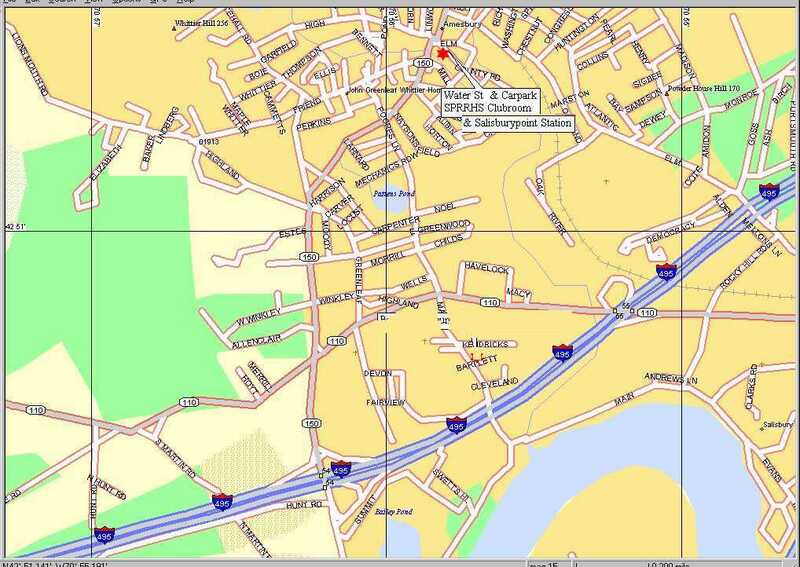 We operate out of 9 Water Street (basement), Amesbury, Mass (directions | map | clubrooms) and meet almost every Wednesday evening from 7:00 P.M. to 9:00 P.M. (note that on some rare occasions due to other commitments we might miss a Wednesday evening opening). The second Tuesday of each month is reserved for our Board of Directors Meeting - all members are invited to attend. The station is open by appointment only. Our Water Street facilities house many artifacts and Railroad "Memorabilia" as well as a large and unusual collection of historic photographs dating from the early 1800's to the late 1970's. As we are devoted to preserving the past railroad heritage and history in our local area, it is noted that most of the photos are from the Amesbury, Newburyport and Salisbury areas. We also maintain and run several model railroad layouts, those being in N-gauge, H.O. gauge, S-gauge, 0-gauge and G.
Our membership is always about 100 strong and the membership year runs from July 1 to June 30 and costs a mere $25 annually, Family is $35.00 and Contributin is $50.00. Membership benefits include the monthly "NEWSLETTER", use of the Water Street "Archives" and facilities and an array of other activities such as attending various train shows, annual get-togethers and exciting "Railfan" excursions on many restored railroads in the New England area. Some of our programs are supported by the Amesbury Cultural Council, the Massachusetts Cultural Council, the National Endowment for the Arts and the Osram Sylvania Corporation of Danvers, Mass.